Chief Alexis Arbogast was trained at the former Customs and Estaminet Schloegel in Strasbourg, before landing his first clerk position in Luxembourg. Then he became chef de partie at Thermalp Les Bains in Ovronnaz , Switzerland, as well as At The Queens Head Webridge Inn in London. 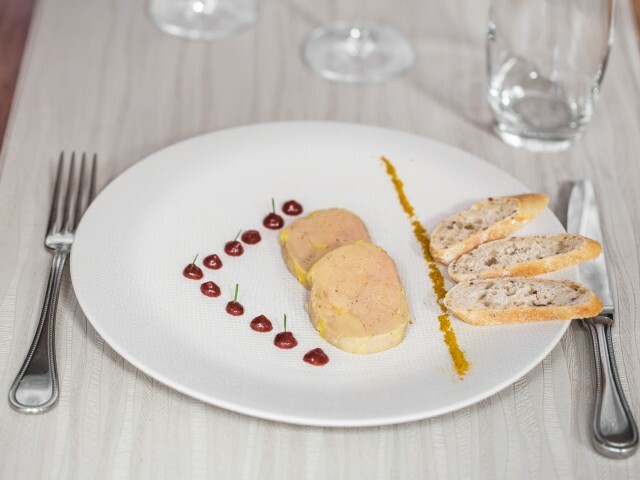 Back in Alsace, he held the position of second chef at the Pfifferbriader , and he obtained his first place as chef at the Hotel du Parc in Niederbronn-les-bains. Since then he continues to gain experience as Chef, at the restaurant Le Clou in Strasbourg and at the Hotel Beausite in Switzerland. He decided to take over the restaurant Charvet & Co located in the main street in Barr and offers an atypical cuisine combining terroir and modernity. The menu of the restaurant changes very regularly, based on fresh and homemade products.